At a loss as to how to create or update your resume? Consider signing up for this hour-long session where we’ll discuss how best to market yourself, what skills to highlight, and how to quantify your past work history in a way that will make employers want to hire YOU. 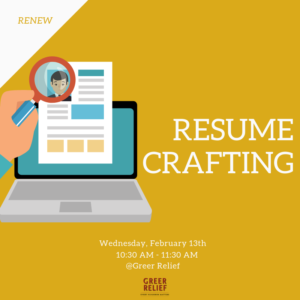 If you have an existing resume, bring it with you. If you don’t have a resume, take some time to jot down your work history and to think about your assets as a potential employee. You will be able to work on your resume on a laptop. 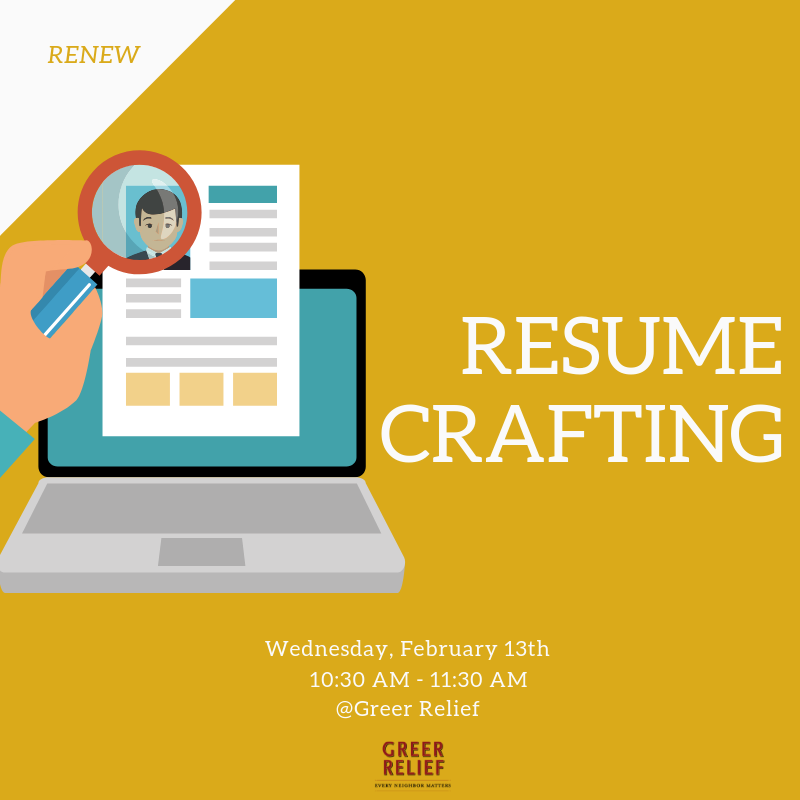 This class will take place on February 13th from 10:30 AM – 11:30 AM at Greer Relief.